I accept myself, I accept my mistakes, I am OK the way I am. 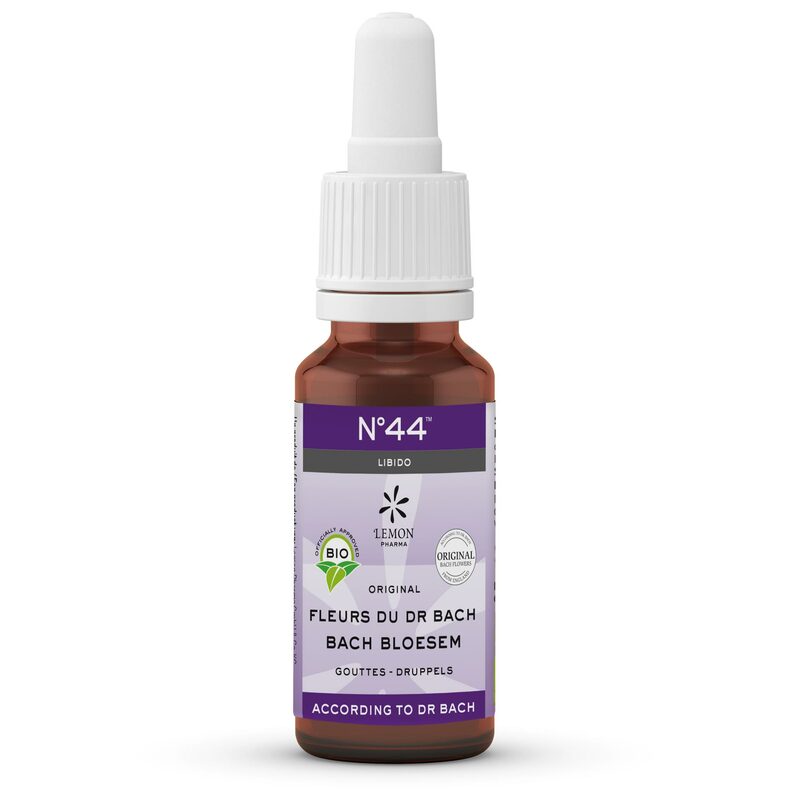 N°44 liquid drops LIBIDO contain 7 flower essences of Dr. Bach in organic brandy. Ingredients: brandy* (27% vol. ), original Bach flower essences*: larch, wild rose, hornbeam, impatiens, gentian, pine, crab apple (*certified organic).